Do you want to learn how to create presentation-worthy animations? See the effects of motors, springs, mass and gravity on your assemblies? Use the walkthrough function to explore your 3D geometry, create a video and play it back for further study? 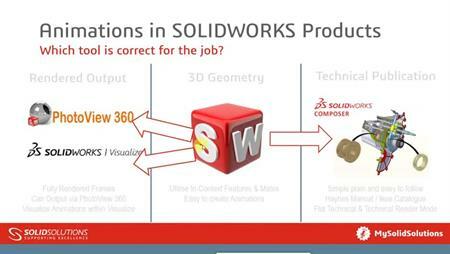 Join this Webcast and you will find out how to achieve all this within the standard SOLIDWORKS package. Animation - Learn how to create simple animations that use interpolation to specify point-to-point motion of parts in assemblies. Basic Motion - Approximate the effects of motors, springs, collisions, and gravity on assemblies. Basic motion will takes mass into account when calculating motion. Walkthroughs – With this tool you see the geometry of the system as you manoeuvre through it. You can save what you see and play it back for further study.